The popularity of trading gold on the Forex market has increased dramatically over the last few years as an alternative to trading traditional currency pairs. There are several reasons for this, with many investors looking to this precious metal as a buffer against inflation, and because it stores value, leading to it being known as a “safe haven” instrument. Although traditionally the price of gold has tended to move inversely to the US Dollar, over the last few years this correlation has no longer necessarily been the case due to an increase in geopolitical uncertainty. While many Forex brokers now offer the option of trading gold relative to several currencies including the Swiss Franc, the Australian Dollar and the Euro, it is still most commonly traded relative to the US Dollar, being represented by XAU/USD. 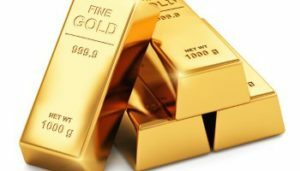 Although trading gold may not seem to be very different from trading any other currency pair, this is not truly the case. There are strategies that must be borne in mind when trading gold, as a quick glance at any XAU/USD trading chart will reveal that there is a lot less volatility in fluctuations. Gold moves more or less directly, and has fewer large movements within timeframes than other traditional currencies. To be able to trade Gold/USD effectively, it is vital for an investor to be aware of the many factors that impact upon this pairing, and to gain a greater understanding in order to inform their strategy. For generations, humans have treasured and valued gold because of its beautiful appearance and its malleability. Since early Middle Eastern society 2,500 ago, gold has been a feature of human commerce, and this means thatit is the most ancient form of currency that is still used and recognised today. Gold has a reputation for retaining its value throughout natural disasters, wars, and even the fall of empires, and hence it is known as a “safe haven” asset. Despite the fact that it retains its value well, however, gold has waxed and waned in the interests of traders over recent years. Between 1980 and 2000 there was surprisingly little interest in gold trading due to the high-flying nature of the stock market of the era coupled with strong economic growth. For around 20 years, the price of gold remained between $300 and $500 per ounce. However throughout the 2000s, the interest in trading gold began to grow again, and after the Great Financial Crisis hit in 2008, the price of gold exploded to an all-time high of more than $1,900 per ounce in 2011. Trading gold as a Forex transaction is a great way for investors to diversify their portfolio while benefiting from gold’s inherent characteristics, with no need to actually purchase the physical asset. Gold is a flexible and easy instrument for Forex trading as it can be done anywhere and at any time, with none of the costs or problems associated with the storing of actual physical gold. It is important to remember that the value of gold is strongly linked to the market’s economic situation, and should there be a recession or financial crisis, investment in gold will soar in popularity, thus causing gold to rise in price during periods of economic distress. Trading in gold requires a large deposit, as it is generally a long-term investment with a fairly large spread. This reduces general access to trading this instrument. In the international world of finance, the US Dollar has a function all of its own. It is the currency that is accepted most often for worldwide reserves, and is also the currency of choice for the settling of monetary transactions between different countries. The US Dollar is the currency in which most of the world’s central banks hold the majority of their foreign currency reserves, and it is known as such a strong currency that there are a number of smaller countries that have elected to opt for the US Dollar as their own currency instead of holding their own. There are also several other small countries that peg their own currencies to the value of the Dollar. While XAU can be traded against other currencies, it is the US Dollar that is traditionally used to set the price of gold, as well as the price of a number of other popular commodities, and the OPEC countries use the Dollar whenever they conduct oil transactions around the globe. Due to these many factors, it is easy to see why the US Dollar has become the world’s most frequently traded and most important currency. With more currencies being traded against the Dollar than against any other global currency, it is essential for any trader who wants to invest in the Forex market to gain a good understanding of the US economy, and the factors that influence it, before getting involved with trading. The value of gold will always be affected by the health of worldwide economies as measured by employment data, interest rates, inflation and GDP growth. Monetary policies of the major central banks also have a role to play in influencing the value of gold on the Forex market, and the dynamics of supply and demand are also key to take into account when investing in this instrument. Gold is a tricky asset to value. Similarly to the Euro or the US Dollar, it is accepted worldwide, portable, and durable; however, unlike a traditional currency, it has no underlying supporting economy of infrastructure, companies and employees. This makes gold more like a commodity such as corn or oil, but what makes it different from other commodities is that the value of gold will frequently fluctuate independent of the dynamics of supply and demand, with trader behaviour and emotions driving some of the major trends in this precious metal. Traditionally, one of the best ways of determining the price of gold has been to look at the level of real interest rates: i.e., the interest rate minus inflation. If the real interest rate is low, investment methods such as bonds or cash will provide very low returns, which encourages traders to find other ways to protect their wealth. If, conversely, real interest rates are up, it is possible to make a good return on bonds and cash, and as a result the appeal of gold will diminish.